There are about to be some big changes to the VA pension laws, and it can greatly affect a lot of veterans after these new rules come into effect. 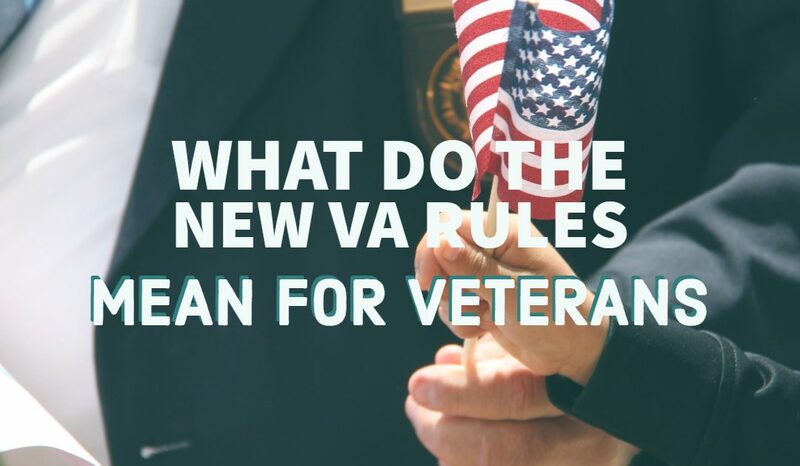 The VA recently published their final rules, but although it addressed some of the provisions and inconsistencies that seemed unfair from the 2015 draft, they retained the same purpose for releasing them in the first place. According to VA officials, these new changes to the pension system are supposed to uphold the pension program’s integrity while incorporating new changes to the statutory law. After the GAO made certain recommendations to the VA, they responded with these rules. These changes talk about topics like income deductions, medical expenses, asset transfers, and net worth. The new changes impose a restriction on one’s net worth that’s equal to the maximum amount of resources they’re allowed for purposes like Medicaid. As of yet, the net worth at which they will impose a limit is around $123,600. As costs for things like living expenses increase, it automatically results in an increase of Social Security Benefits and the same percentage would apply to the net worth. Just to be clear, ‘net worth’ is the complete sum of your assets and yearly income. This means that your annual income adds up to your assets to generate a figure; your net worth. Also, as a veteran, your net worth is defined by your assets, as well as your spouse’s assets. The VA will calculate your net worth on the date that they receive a pension claim, even if it’s after a period of non-entitlement, or a request to confirm a dependent. Veterans are entitled to a pension on the day that their net worth no longer exceeds the limit. They should submit a proper statement that confirms the decrease and the VA should have received the correct statement within a year. On the other hand, when your net worth increases and you’re no longer entitled to certain benefits, the reduction will be effective on the last day of the same year. If your net worth manages to decrease below the limit before the year ends, your benefits won’t be discontinued because of an excess of your net worth. In the new rules, your assets are defined as the fair market value for all the property that you own, which is personal assets and real estate. Your primary residence is an exclusion to the assets definition and if you sell it, the proceeds don’t count as assets if you use it to buy a new home within the same year. It also excludes personal items like family cars and appliances, from the overall asset value. After the date that the new rules come into effect, only transferred assets that you’ve covered will go through a penalty period. These assets are those which were part of your net worth but you transferred them for a value that’s less than that on the fair market; had you not transferred the asset, it would have resulted in an increase to your net worth that would exceed the limit. However, the entire worth of the asset won’t be subject to a penalty, only the amount that makes a difference between your net worth prior to transferring it, and the limit. For clarification, the VA describes a fair market value as the cost a seller would willingly sell for, and a buyer would willingly pay. Although it’s fairly subjective, they plan on using updated information to determine what the fair market value is. A transfer of an asset for a value that’s less than that on the fair market isn’t just an exchange or sale for a lower price; it also includes purchases that aren’t in your best financial interest but merely so you can qualify for the pension program. There will be a lookback period for your transfers, which is 36 months that precede the date on which the VA receives a pension claim, whether original or after a period of being non-entitled. However, the rules don’t include asset transfers made before October 18, 2018. The VA will look through the terms of asset transfers during the lookback period to check whether the sale or exchange included the transfer of a covered This means that you’ll be required to submit a transcript for a tax return, or the terms for a deed, trust or gift.